Lakme was my first ever makeup brand and that time the products were pretty average. Over the time Lakme has revamped its entire range of products . I’ve tried their blushes and lipsticks and I loved each and every shade I tried. I was eying the eye pencils since long but I never bought it because there are cheap alternatives available. But the SA swatched this shade on my hand and I fell in love with it, it is my-kinds-purple-shade and I couldn’t resist myself from purchasing it. Product Description: A color intense formula, with beautiful soft-color effects that will not budge even in the evening. This eyeliner glides on smoothly and easily, for a well-defined look that lasts all day. 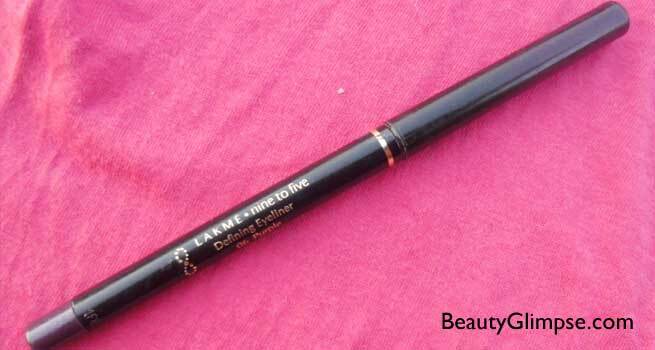 The eye pencil from Lakme comes in a retractable packaging and it’s black in color. The bottom of the pencil is of the same shade i.e. purple which makes it easy to identify the shade in case you have many similar eye-pencils. Since it’s a retractable pencil you don’t need to sharpen it and carry the sharpener along with you which makes it travel friendly. Also, retractable pencils have hygiene issues as you keep using the tip again and again. 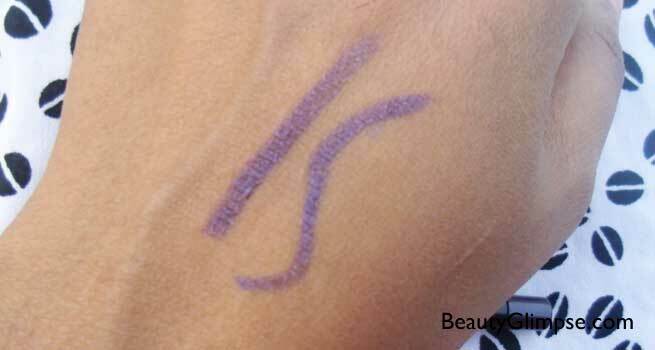 The shade I’m going to review is a very intense purple shade and it has slight shimmers in it. 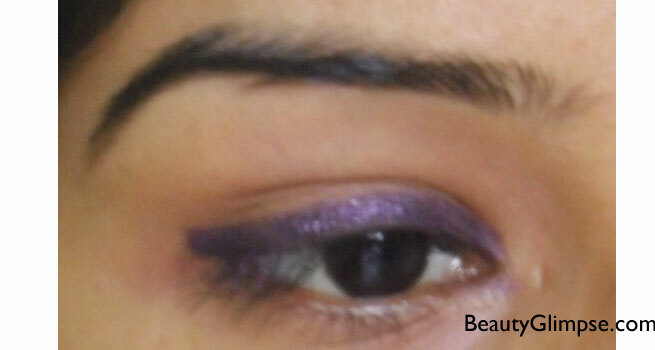 The shimmers are hardly visible and they don’t look overboard so you can wear it during the day. The shade is much pigmented and one-two swipe is enough to get the desired shade. You can also build the color accordingly. 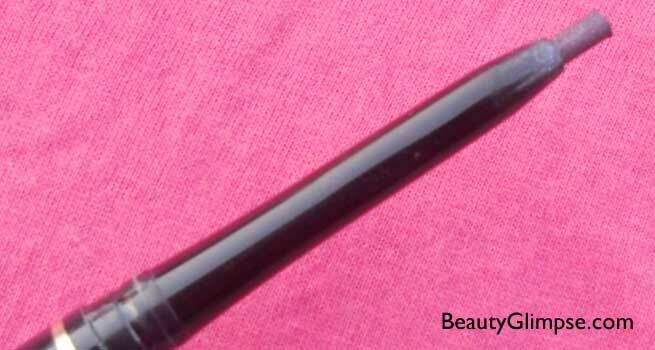 The texture of the eyeliner is smooth and it glides on smoothly without tugging on lids. Since the texture is creamy, the tips breaks easily when pressed hard which leads to product wastage. You use more products since the texture is creamy and thus the eye pencil gets finished soon. The eye pencil doesn’t have any fragrance. The eye pencil is long lasting and once applied it stays for around 6-7 hours without smudging. You don’t need touch ups as it is long lasting and the product claims are true. It is waterproof one but it comes off easily with an eye makeup remover. I’ve also tried to apply it on my lash line and it doesn’t sting at all. On lash line the staying power is for 3 hours. 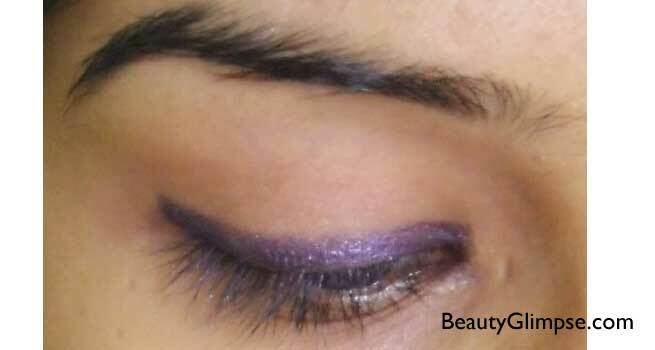 Overall, I am very happy and satisfied with the eye liner from Lakme. Final verdict: The eye liner is pigmented, glides smoothly and stays till removed with a remover. There are many shades available and I highly recommend it to all those who love colored eye liners. You should at least have one of this.